Two mortgage brokers have expressed their surprise at being removed from RateHub because their mortgage rates are too low. Jeff Mark and Steve Pipkey of Spin Mortgage, an online brokerage based in Vancouver, posted a rate of just 2.44 per cent for a 5-year fixed deal. 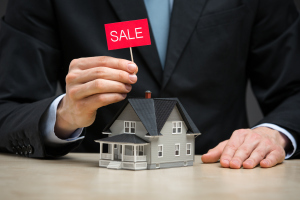 The Globe and Mail reports that RateHub believed that the conditions to qualify were beyond the reach of most consumers and concluded that the rate amounted to false advertising. The rate was the result of a deal from Industrial Alliance Insurance and reduced by Spin foregoing some of its commission. Mr Pipkey says that the rate is achievable but RateHub’s Alyssa Richard argues that only 10 per cent of borrowers would qualify for extra conditions including the mortgage being closed within 30 days. Read the full story.